With some seventy combined years of experience in counseling families through the admissions process and thousands of students placed in selective colleges, secondary, and graduate schools, Howard and Matthew Greene have distilled their knowledge into many helpful books. 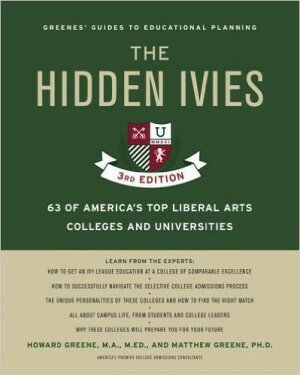 Their lastest book, a third edition of The Hidden Ivies, published by HarperCollins, hit bookstores nationwide and online in September, 2016. 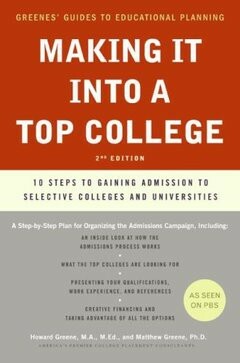 Completely revised and updated with thirteen new colleges and universities, the essential guide students need to help them choose and gain admission to the outstanding schools that fit them best. 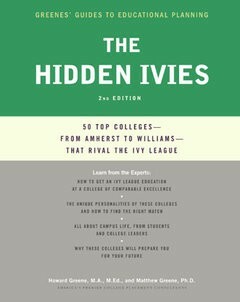 Based on Howard and Matthew Greene’s years of counseling experience and research, The Hidden Ivies is an invaluable, in-depth look inside sixty-three renowned academic institutions. These private colleges and universities offer students a broad liberal arts education that will help them build a strong foundation for the rest of their lives. The Greenes help families understand what makes an Ivy League college so desirable, and why these Hidden Ivies (some less well-known than others) offer an educational and personal experience to rival that found on Ivy campuses. Choosing a college is one of the most important decisions every student—and their parents—will ever make. 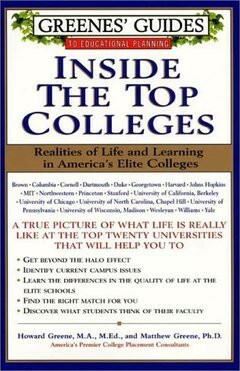 With costs rising and so many to choose from—and the competition for acceptance more intense than ever before—The Hidden Ivies offers invaluable insights and advice to help every student choose and apply to the right school: the place where they will thrive, academically, socially, and personally. 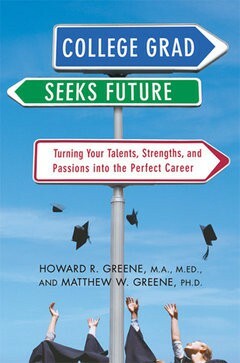 In COLLEGE GRAD SEEKS FUTURE, Howard and Matthew Greene help post-collegians find their true calling, pursue the field that best fits their talents and passion, and utilize their unique skills to build a career efficiently and effectively. The Greenes explain to readers the highly individualistic nature of choosing a career, the interesting choices that are frequently overlooked, and the imaginative ways in which young adults can identify their goals and take the necessary steps to realize them. What are the threads that you have followed through your life? How important is "the money thing" in your choice of career? What are exciting fields to consider, including nonprofit and public service work? How can networking, informational interviewing, and even serendipity help you follow your personal life threads? 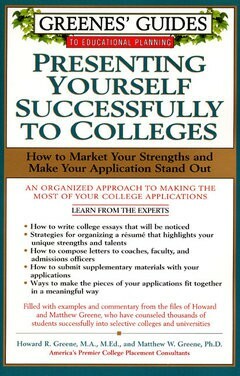 The Greenes know how it works and reveal how to organize the college admissions process for your best results. The value of pursuing a liberal arts education. 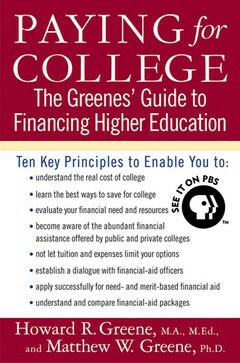 A companion to the PBS show on how to finance a college education by the country's pre-eminent educational consultants. A thorough overview of the boarding school world. 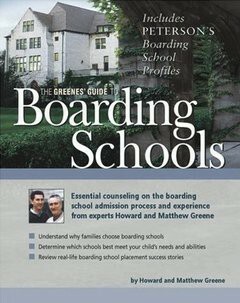 This title provides parents, students, and counselors with an overview of a wide range of boarding schools. From schools with a focus on the arts, experiential education, international study, or community service; to those with a small, supportive environment to the more demanding, traditionally structured elite institutions. 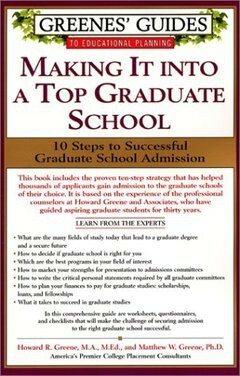 Written by leading admission experts Howard R. Greene and Matthew W. Greene. Features and benefits include: - Detailed narrative descriptions of individual institutions - The pros and cons of attending boarding school and choosing the right school - Admission and financial aid strategies - Tips from admissions counselors, Heads of School, faculty, and others. Six million people apply to graduate programs each year. Two million are currently enrolled in graduate programs. 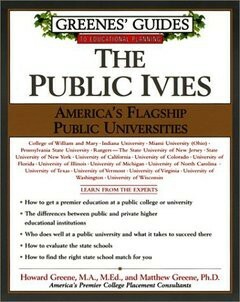 Using their years of expertise and inside knowledge of the country's colleges, the Greenes present affordable alternatives to Harvard, Yale, and Princeton -- public universities at which students can receive an education comparable to that at Ivy League universities at a fraction of the price. Providing students and their parents with a better understanding of the opportunities to be mined at a public university, this informative, one-of-a-kind guide will help students pave the way towards a top-notch college education.